We are SUPER excited to introduce to you a new family member of ours – Nicola George! 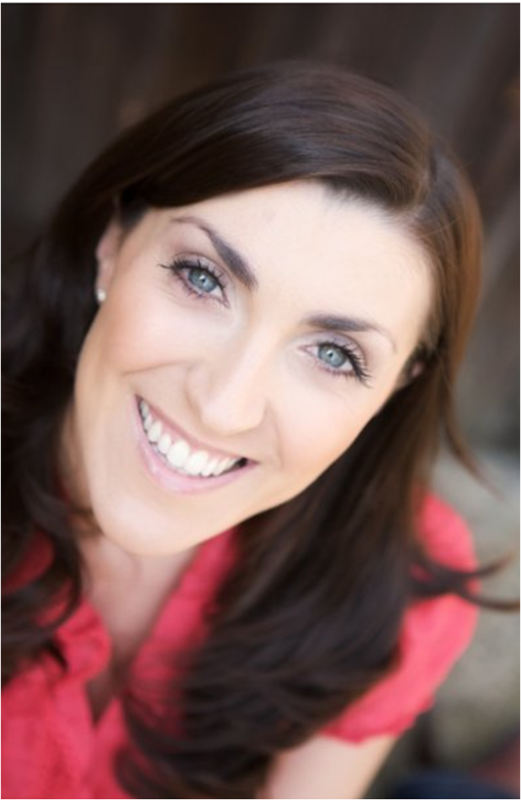 Nicola is joining our presenter team here at TVSN – coming all the way from the UK! Here is a little Q and A we had with Nicola earlier on in the week . . . .
Birthday: 9th May – Taurean! Years with TVSN: just a few months – still a newbie! What path brought you to TVSN? I had been working at a shopping channel in the UK for 6 years and a few months before I found out I was moving to Australia, Mark Pickett joined our channel. He was my go to guy for advice about moving out here and he told me all about the wonderful team at TVSN, so I got in touch, auditioned and thank goodness got the job! On my first day at TVSN I… got lost!! I have only just stopped asking everyone which way to go – there are lots of corridors and doors here! What excites you most about being a TVSN presenter – being part of the TVSN family, it is a lovely thing to be part off – and the products!! Especially the fashion, getting to wear a new outfit from our fashion department every time we go on air is a girly dream come true. Where would we find you when you’re not at TVSN? On the beach or taking a nice long walk with the awesome coffee you guys have here. Australia is so beautiful it makes you want to just get up every day and take advantage of the amazing scenery. I had never been to Australia before I moved here so any weekend I get the chance I jump in the car and drive somewhere I have never been. What has been your most embarrassing moment on TVSN? Hmmmm I’m still very new so nothing yet but it won’t be long as I am VERY clumsy and accident prone – watch this space! What’s your favourite thing to do on the weekends? Eat and Cook! I love food and the weekends are for indulging so I love to go out for dinner or cook up a big feast. I love being active too so playing golf, surfing, yoga – I’m not saying I am any good at these things but I have fun trying. If I wasn’t presenting, I could see myself: living in the country making wine or cheese – one day! What’s your secret skill or talent? Singing 🙂 Even if it is just in the shower or while I’m cleaning, singing makes me a happy girl! Do you have any nicknames? George, Georgia, Rat or Aunty Ratty! Any fears or phobias? Spiders – eeek! Although I had hypnotherapy for it and it definitely helped – I am now mildly scared rather than terrified. Who was the most influential person to you as a child? My mum – she is the best and I am blessed to have such a wonderful mum who is always there for me and supporting me no matter what. She is a nurse and I also always admired the passion she had for taking care of people. Food: CHEESE!!! And anything Italian yum yum yum. Movie: The Sound of Music or West Side Story – if there is singing and dancing I’m all in! Join us in welcoming Nicola tomorrow morning in the Australian WIS show at 8:30am. Next: Next post: Get Garlicky! !